A beautiful addition to the Joe Browns handbag range at Scorpio Shoes - the Victoria Couture A3552, stunning womens bandbox sling bag. The Victoria features a gorgeous brocade material in burgundy red and and gold that teams perfectly with the Joe Browns Victoria Couture ankle boots. 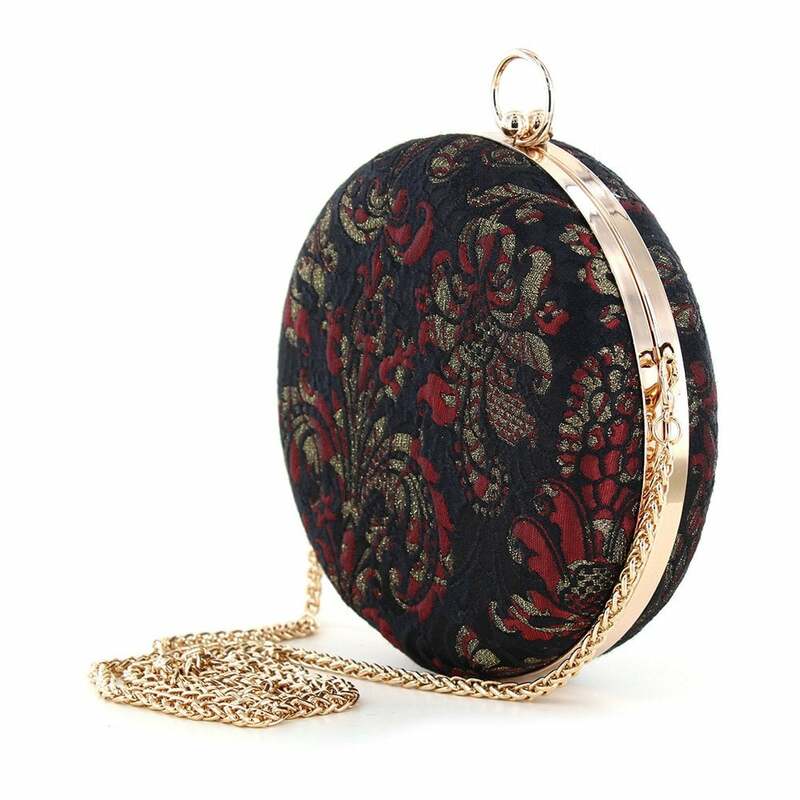 Fastened with a pocketwatch clasp the Victoria bag has a black and gold spotty lining and a gold coloured chain sling strap.